But Amazon is also working on a second service that would differ in two significant ways from industry rivals: It would cost half the price, and it would only work on Amazon’s Echo hardware. Amazon’s discount service would be different, industry sources say, because it would work like Spotify or Apple Music — unlimited, ad-free music on demand — but it would be constrained to Amazon’s Echo player, and wouldn’t work on phones. Recode’s Peter Kafka is usually well sourced, so I don’t doubt ​that there is something behind this. 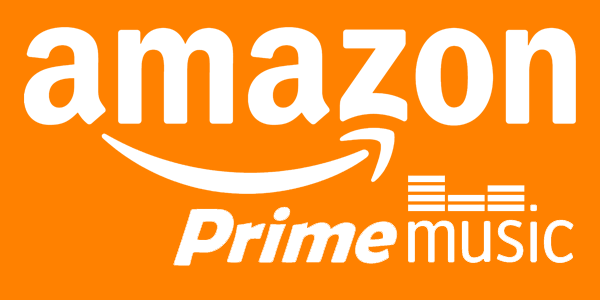 Amazon right now has Prime Music, an On-demand streaming service bundled with Amazon Prime, that has about 2 million songs, a fraction of what Spotify or Apple Music offer for $10 per month. Amazon is still working on offering something similar to Spotify and all the other music streaming services. Namely, $10 per month for on-demand access to (more or less) the whole back catalogues of the major labels and the independant labels. Additionally, Amazon is working on a third(?) music streaming service for signifcantly lower price per month, $4 to $5 per month. This service would only be available to Echo users and would only be available through the Echo. Let’s look at the two parties. For Amazon, this could add significant attractiveness to Echo, Alexa’s “best customer”. As the first-party end-point to the Alexa voice interface platform, Echo is very important to Alexa for the next several years. In theory, after that it will be all about Alexa ‘only’, as by then, Alexa will be available through your car and other connected devices you own where Alexa is integrated into. Now, if you have been paying attention and/or are exceptionally good at math you will have realised by now that those $64 per year are very close to Amazon’s rumored $5 per month, which are amounting to $60 per year. This is the market Amazon is gunning for here. And this is a huge, unserved market. It is, however, intentionally unserved. The remaining three major music labels together own around 75 percent of recorded music, which kind of makes them into a cartel. This cartel wants to increase the average spending (and thus the market size for recorded music) by setting the price for streaming services accordingly. (With 75 percent of music owned by the big three, no streaming service can get around them. Hence those companies determine the conditions for music streaming services. This is the reason every on-demand streaming service costs the same. This is also the reason why even Apple could not set a lower price for its music streaming service, even though Apple reportedly tried really hard to negotiate just that.) They have no interest in any service that would undercut their preferred monthly price for on-demand streaming. As everybody knows by now, Apple kind of tricked the major labels back then, intentionally or unintentionally. Once iTunes came to Windows, the iPod and iTunes took off and the rest is, as they say, history. Amazon could, and would, if given the opportunity, pull the same ‘trick’. A $5/month music streaming service tied to Echo is like iTunes on a Mac. The same streaming service, however, tied to an Alexa account is something different. Today, Alexa and Echo are synonymous. But this is changing rapidly as manufacturers of connected devices large and small race to integrate Alexa whenever it makes sense. So, what today looks like an iTunes on Macs situation will slowly but surely turn into an iTunes on Windows situation. Even though this hypothetical streaming service might still be tied to the home of the Echo/Alexa account owner, (by only allowing streaming through Wifi for example) this would increase dramatically the value of that service. At home, you listen to music through Amazon. What I wrote a few days ago about the potential revenue streams within Amazon for today’s Prime Music still holds true here. For starters, Alexa, learning through listening habits, could occasionally recommend buying tickets to upcoming concerts nearby. Amazon hopes to sell three million Echo devices this year, and plans to sell 10 million in 2017, according to The Information. Streaming market wise, this has to look like a controllable environment to the labels while at the same time Amazon and Alexa as a (modest) boost for other revenue streams like concerts must look enticing. ​As I said, an odd rumour. But a fascinating one, none the less.